Founders Desmond Child and Rudy Pérez on behalf of the Board of Directors and Officers of the Latin Songwriters Hall of Fame (LSHOF) proudly announce the names of the songwriters and composers to be welcomed this year into the esteemed hall. 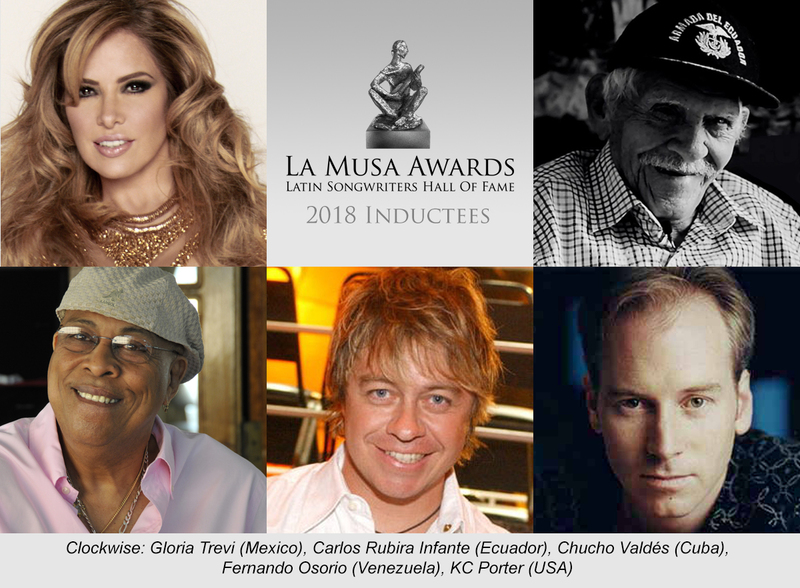 The final top five elected songwriters will be officially inducted at the 6th annual LA MUSA AWARDS ceremony and gala which will take place on October 18th, 2018 at the James L. Knight Center in Miami and directed by Richard Jay-Alexander. The confirmed Inductees will be taking part in the LA MUSA AWARDS induction ceremony and receive their awards in-person. The voting period ended Sunday, April 15, 2018, at midnight with thousands of votes from all around the world. To be eligible for induction into the Latin Songwriters Hall of Fame the songwriter, composer or lyricist must have had their first published work released at least 20 years prior to the year of induction. All inductees are presented with the silver La Musa trophy statuette and honorees with the bronze Musas created by world-renowned sculptor Alan LeQuire. “The 2018 Inductees are some of the most inspired songwriters of all time. I always look forward to the LA MUSA AWARDS which is one of the year’s most exciting nights when industry colleagues and competitors gather together as one community to celebrate the unsung heroes of Latin music… the songwriters.” – Rudy Pérez, LSHOF President, and Co-Founder.